The trouble with any model railway in a loft environment, without some sort of temperature control, are the extremes of hot and cold. This limitation reared its ugly head again this week. Apart from the fact that the loft is less appealing as the temperatures drop, there are also other practical implications. 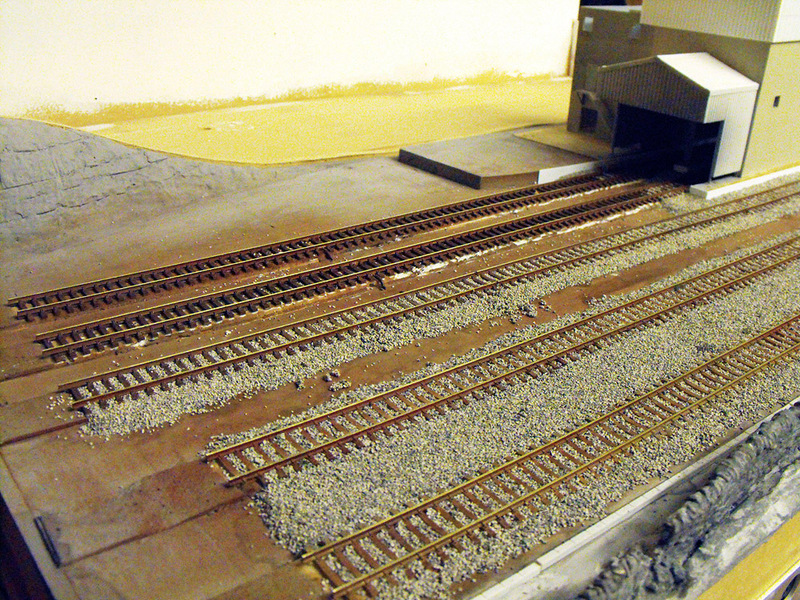 Midweek I got back to doing some ballasting. However, the following day when I pressed on the newly laid ballast the result wasn’t what I was expecting. The ballasting hadn’t set! It was crumbly to the touch. The cold temperature of the loft had obviously slowed down the curing time of the 50:50 mix, which I’ve described before. The ballasting did eventually set, but next time I’ll keep my clumsy little mitts to myself a bit longer in cold weather. 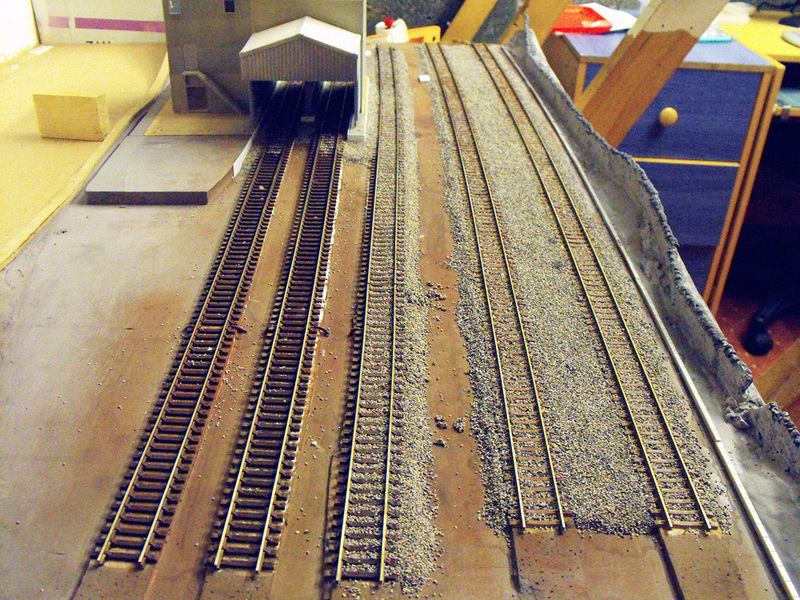 At least now there are only two more sections of track to ballast to complete the ballasting on the ‘Overdale Quarry’ module. 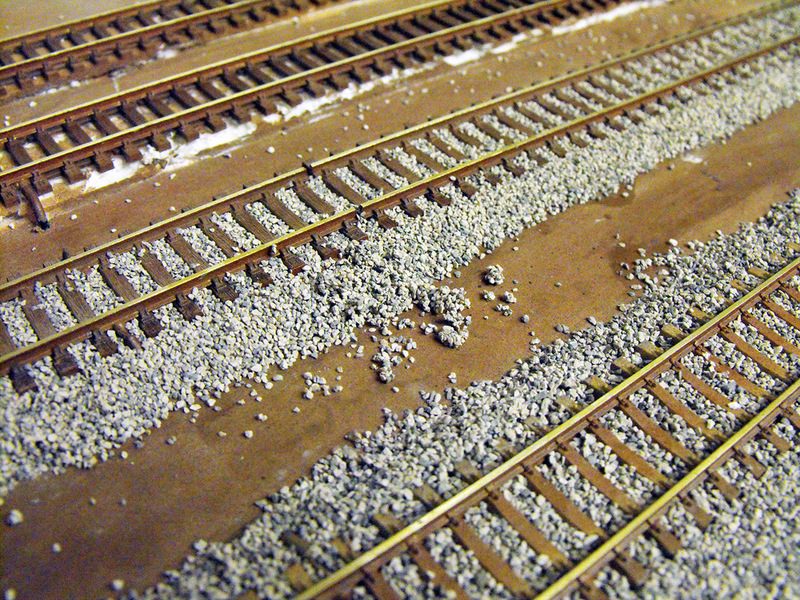 This entry was posted in Baseboards, model landscaping, Overdale Quarry, Track and tagged ballasting, Baseboards, model railway, OO Gauge, Overdale Quarry, track by Ian Robins. Bookmark the permalink. Yes, I’ve seen these around products around, but I’ve never tried them myself. Having said that, my Dad always used to use the foam track underlay on his layouts.